This is Deah Barakat, 23, pictured here with Yusor, his wife of six weeks, and Yusor’s sister Razan, three young Muslim students living in Chapel Hill, North Carolina and attending nearby universities; Deah and Yusor studying dentistry and Razan architecture. 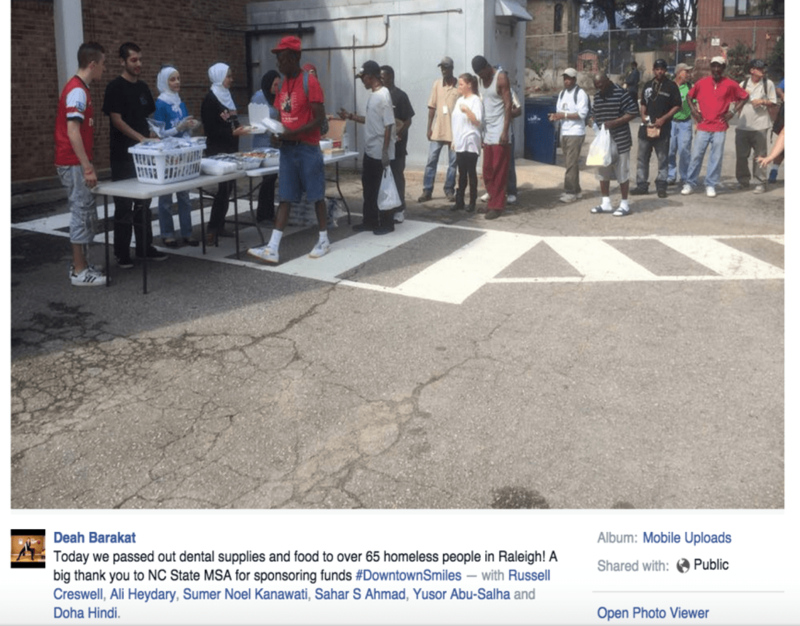 As well as students, the three frequently helped the homeless in their area, particularly by giving dental help and distributing supplies. 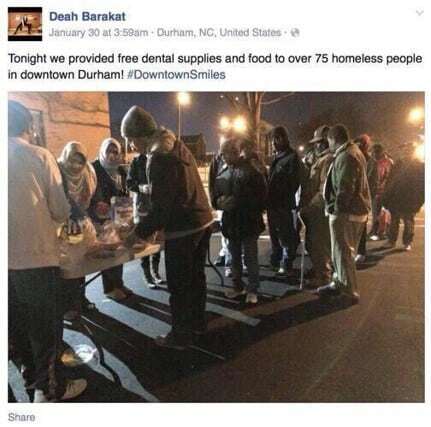 This is a Facebook post from Deah that says, ‘Today we provided free dental supplies and food to over 75 homeless people in downtown Durham’, and this picture, from a different day, carries a similar caption. How many of you know that on 10th February 2015, all three were shot and killed in their flat, and that the main suspect is their next-door neighbour, Craig Hicks who had been harassing them for months? 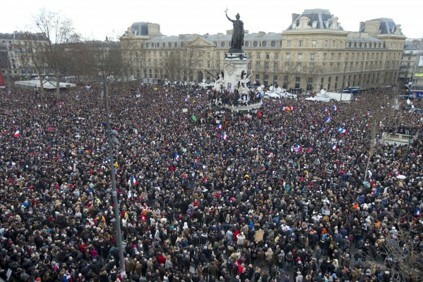 Now consider the shootings at the offices of the French magazine Charlie Hebdo by a group of ‘Islamist’ extremists. These two scenarios are exact opposites; compare the responses to the two. 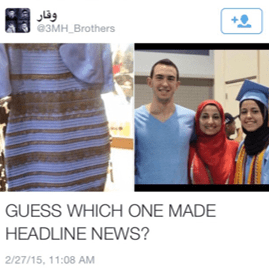 The press was criticised for only covering the Chapel Hill incident after #ChapelHillShooting trended on Twitter and other social media sites. 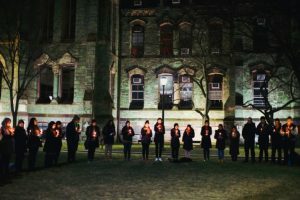 Even then, it was covered only very briefly, and was passed off as caused by a parking dispute, though friends, family and neighbours of the victims have dismissed this as nonsense. Deah’s sister, Suzanne, has said that calling it a parking dispute is ‘outrageous, and it trivialises their murders’. 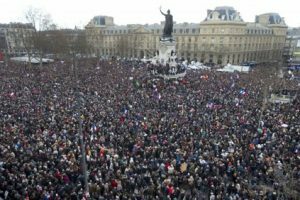 By comparison, the Charlie Hebdo incident spawned weeks of headline news coverage and a unity rally attended by one and a half million people, including major world leaders. 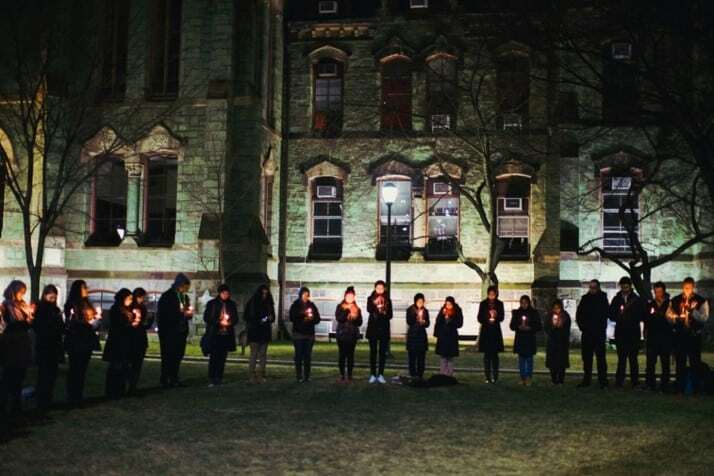 Compare this picture of the rally to this – a photograph of the vigil held at the University of North Carolina to commemorate the Chapel Hill victims. 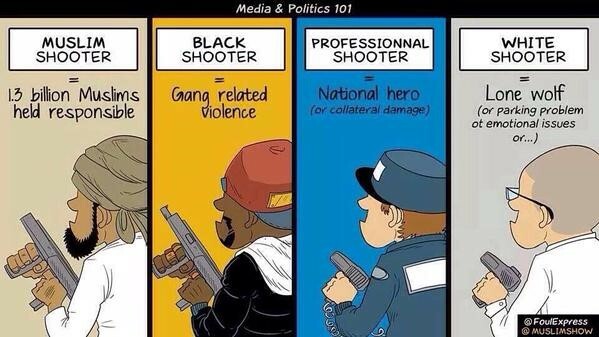 So why is it that murders of Muslims attract less attention than murders BY supposed Muslims? This is a series of clips taken from a video by Russell Brand, answering that question. Did you know that less than 2% of all terrorist attacks are carried out by Muslims? And yet, when you hear the word ‘terrorist’, I’m sure that for many of you ‘Islam’ is also brought to mind. But did you know that the US national counter-terrorism centre said in 2011 that up to 97% of terrorism-related fatalities were Muslims? 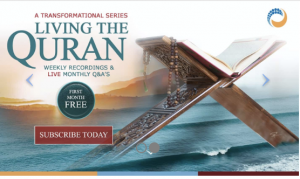 As Russell Brand said, we as the general public are not told the full story, and the news we are told is somewhat skewed to back up the point that the media is making – that Islam is a violent faith and Muslims are evil extremists. However, this amazingly small proportion of terror perpetrated by Muslims hasn’t lessened the paranoia of the American government. Trying to enter the country, countless family members and friends of ours, have been stopped and detained for hours in airports, often with families with young children waiting outside for them to get through their interrogation. A few years ago, a family friend was at the airport, about to check in with his classmates for a school trip to America. However, this was impossible, as this 16-year-old public-school student was told that his name matched that of someone on the US national security terrorist list, and that he was not allowed to enter the country, or even board the plane. His parents had to take him home, while the rest of his school group left, and his teachers found themselves in an absurd predicament. Several celebrities have also been stopped – one of India’s most recognisable film stars, Shah Rukh Khan, the Brad Pitt of India and a Muslim, has been stopped multiple times, and on some occasions has only been released after intervention from the Indian embassy. Abdul Kalam, the Muslim ex-president of India, was also stopped on two separate occasions. Aged 80, he was still a suspect terrorist and had his jacket and shoes briefly confiscated for further security checks. Even the Indian ambassador to the US herself, Meera Shankar was pulled from her line at security for extra checks. And just as officials have become more anti-Islam, so has the public. 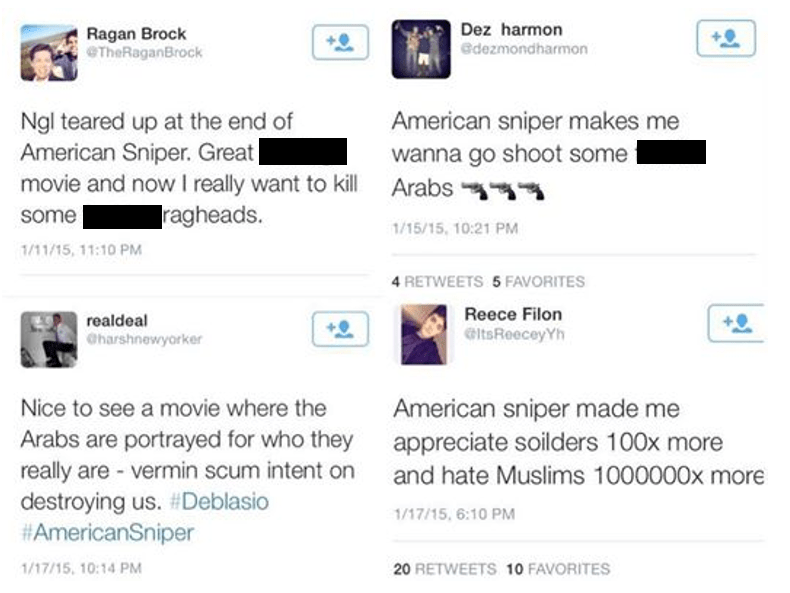 Islamophobia is becoming more and more common, and, as mentioned by Russell Brand, is not helped by films such as American Sniper. The film, which came out in January of this year, is based on the autobiography of Chris Kyle, an American soldier who fought in Iraq. However, while the film has been praised for ‘showing the emotional torment of so many military men and women’, Kyle is not in fact tormented by his experiences. He refers to everyone he fought as ‘savage, despicable and evil’. In his book, he wrote ‘I only wish I had killed more’ and ‘I loved what I did. I still do. If circumstances were different … I’d be back in a heartbeat.’ Kyle was a killer, indiscriminately shooting men, women and children out of his words: ‘the only good Iraqi was a dead Iraqi’. Should this man really be celebrated as a hero? There is evidence that the film has increased Islamophobia in society. As well as these tweets in response to it, in the two months since its release violence against Muslims in the US has increased by 13%. As well as American Sniper, there are many other films about terrorist attacks. This includes even family films like Marvel’s Iron Man, in which Afghan terrorists kidnap the Iron man and hold him in a cave. And even younger children have been influenced. A few days ago, my brother accidentally took this T-shirt to school instead of his PE kit. 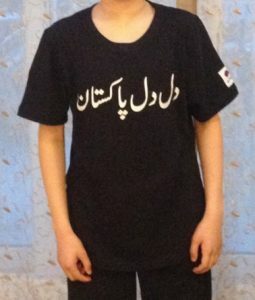 The slogan is in Urdu, not Arabic, and simply means ‘I love Pakistan’, but his classmate’s first reaction was to link it to ISIS. Even nine-year-olds have been brainwashed by the media. Even though 9/11 was carried out by a handful of people, the repercussions have stigmatised Muslims all over the world. 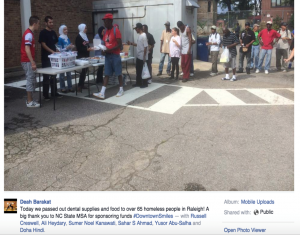 Instead of diminishing over time, Muslims are feeling constantly misrepresented by the media. So what we would like you to do next time you hear the word ‘Muslim’ on the news is to wonder how accurate this portrayal is. Does the stereotype of Muslims on the news remind you of any of the Muslims you have met? Or is it that stereotype that is leading to unnecessary violence against innocent people like these?